School. Our educational quest continues. We have met with our principal this week, and it was a good meeting. She acknowledged that it should be easier to support gifted students in schools than it is in practice and asked us first what our ideal state would be (good move!). Unfortunately, our desired state (ability-based grouping) is not quite how this second grade class is set up to run, but the principal offered several practical steps to improve the situation. Our daughter and another “outlier” in her classroom will be doing Khan Academy during math practice and will be offered a choice of either to catch up with their classmates or do more “challenge” work afterwards. The school is also ready to “skip” her next year if we choose to do so, but in any case we were promised a more careful placement this year. Afterschool. Smarty was running a fever on Sunday, so she stayed home with me on Monday. Sleeping in always helps her shake off minor viruses, so she was a happy camper in the afternoon – playing with Lego and with her Olympic rink and reading. She is also mostly done with her Valentines for her classmates – this year she is doing special homemade bookmarks with messages for each student, and we are giving each of her classmates a book out of our overflowing library of children’s books that she has outgrown already. The reason for this move is that February 14th is also an International Book Giving Day. In our afterschool history a person of the week is Albert Einstein. What My Child Is Reading. Disclaimer: I am an Amazon Associate, and this post contains affiliate links. For full disclosure, please click here. When Smarty is “under the weather”, she always goes to her “comfort books” – Rick Riordan’s Percy Jackson series and rereads her favorite parts. We finally finished 10 Plants that Shook the World (great book even though I didn’t care for illustrations) and reading through Who Was Albert Einstein. Last Saturday we met up again with MaryAnne from Mama Smiles: Joyful Parenting and her family. It was a popular day to go hiking – our first choice turned out to be absolutely full, so we had to change plans on the fly and drive to a different park. The kids spent most of the time cautiously warming up to each other, but we hope they gradually get to know each other better. Me: If you had three wishes, what would you have wished for? Smarty: To increase my allowance from $1 to $2. Me: Why not wish for a million dollars? Smarty: I don’t want to get rich quick. I want to earn my money through honest work… or through getting an allowance from you! How cool to meet up with MaryAnne! It does sound like the school is trying to meet your/Smarty's needs. Giving books and bookmarks on Valentine's Day is such a great idea. Grade skipping is not a bad idea. I'm slowly realizing how important it is to be among true peers or be in an environment where they is challenge. 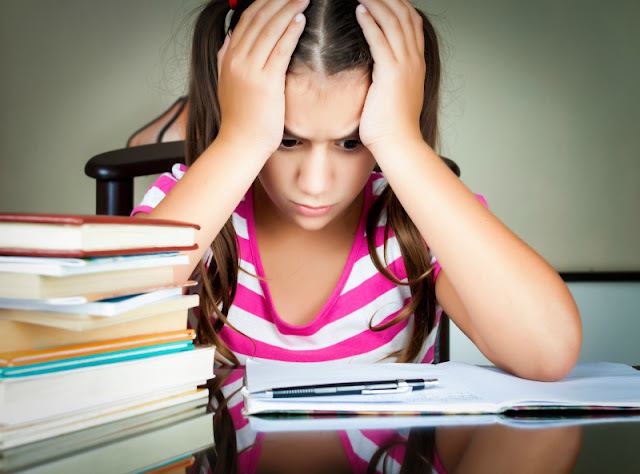 You should read the studies on kids who skipped grades to weigh the pros and cons. I hope she's feeling better from the fever. Love the sharing books idea. We did away with allowance. K has to figure out a way to earn it. It's interesting that they keep offering a skip for Smarty. They wanted to skip my brother in the '60s (my folks said no, because he was on the young side of his class as it was), but by the '70s for me they were favoring ability grouping, and then in the '80s they brought in the talented and gifted program, sounds like maybe they've gone full circle. I'm really not sure which would be better. I saw many of my friend, who ended up in lower math and reading levels, falling further and further behind - hurting their college experiences and ultimately their careers. And TAG, while fun, was basically just babysitting for the bored kids - and lended itstelf to a dangerous level of elitism. I'm so jealous you get to meet up with Maryanne! Smarty's quotes are the best!!! We had a great time with your family on Saturday! We'll just have to keep getting together - the kids do seem to get along nicely! Using Rewards to Build Character Traits?